A set of technical papers which form a unique online “reference book” on diesel engines and emissions—an indispensable resource for all engineers and scientists working in the fields of engines, emissions and emission control. The Technology Guide papers have been written by experts in engine and emission technology and edited by DieselNet staff to a uniform editorial standard. All papers are periodically reviewed and updated to account for the newest developments in science and technology. The Technology Guide includes over 140 interlinked online papers. The text also includes over 3,000 literature references, hundreds of figures and tables, as well as video clips for online viewing. Please see the list of papers and paper abstracts for more information on the scope of coverage. Note: Access to Technology Guide papers requires DieselNet subscription. More technical papers on engine, fuel and emission technologies. Papers in this section have been submitted by their authors for DieselNet publication—they are not edited or updated. If you wish to have your paper published here, please contact us with paper offers. 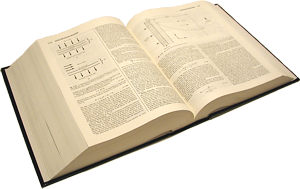 Glossary of terms: diesel engine, fuels, emissions, emission measurement, emission control. Online interactive calculators for selected engineering problems. Included are conversions between units of measure, diesel smoke density, and sulfate particulate emission estimate.